Service engineers asked to replace an electric motor on a yacht’s roll stabilizer had to rethink their standard practices when they realized that the vessel in question was the ultra luxurious Hampshire II. 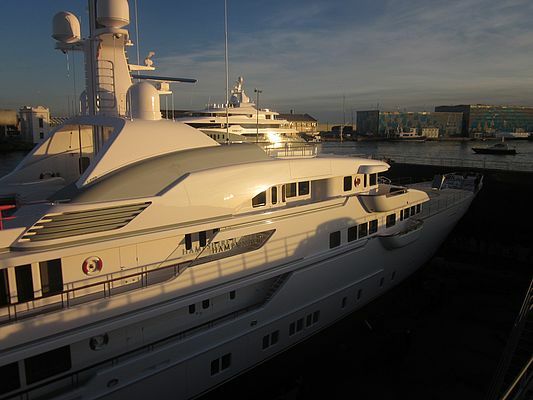 The super-yacht Hampshire II had just completed extensive sea trials prior to being handed over to the owner. While in dock in Barcelona, it was decided to replace the main drive motor on the stabilizer. The first clue the service crew had to the unusual nature of their task was when they went below to assess the stabilizer and saw that the whole engine room was immaculately decorated in white. The motor was mounted in a small space and it was obvious that any oil or grease stains would be unacceptable. The new motor was to be a 30kW Rotor AC unit, weighing in at 320kg when fully assembled. Rotor makes and supplies standard and special motors up to 1000 kW to IEC, DIN and marine specifications. 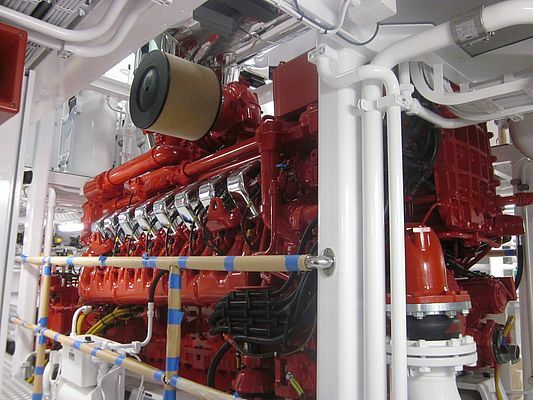 It regularly supply complete drive systems for pumps, ventilation systems, davits, cranes, port machinery, hydraulic systems, compressors and various other pieces of equipment, so while the Hampshire project was unusual, it was well within Rotor’s scope of experience. “We have installed motors in the desert and the arctic, in theatres, hospitals, sewage works, offshore, subsea, in tall buildings and at the bottom of mines,” recalls Wim Bruil. “We have worked in some of the most arduous environments imaginable, but coping with a luxury yacht in a beautiful Mediterranean marina was new territory for us - fortunately we are flexible and able to adapt." Rotor is part of the Regal family of companies, a leading manufacturer of electrical and mechanical motion control and power generation products serving markets throughout the world.